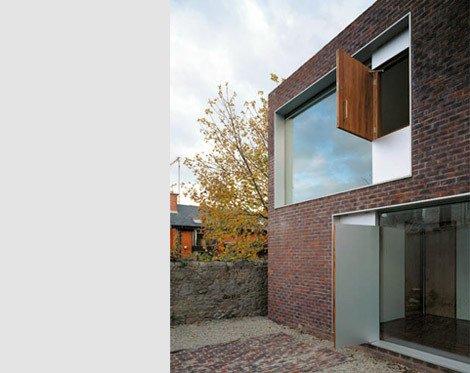 The Cubical House is situated on a mews lane in a Dublin suburban, seaside location. 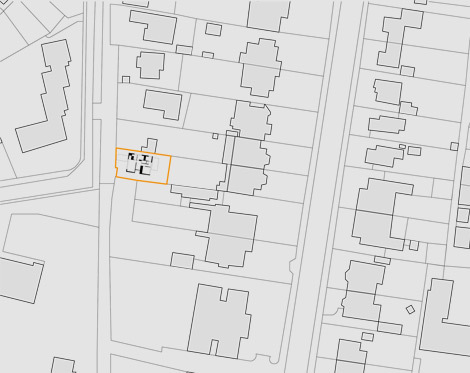 The site occupies the rear portion of the garden of a large, semi-detached Victorian dwelling. A 3.7m high wall runs along the southern boundary while a granite wall faces onto the laneway. 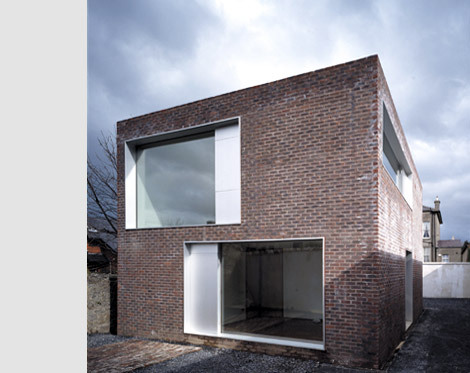 The house reads as a simple object, a cube placed within a walled enclosure. 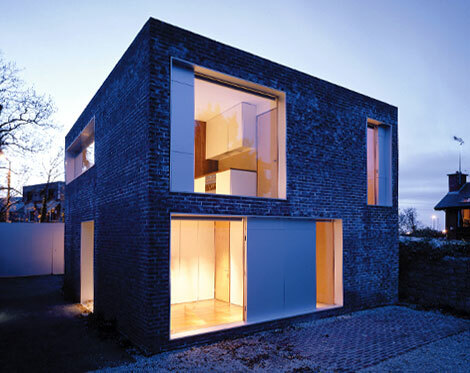 This cubical form is sleeved in brick, the openings cut out in glass and lined in satin anodised aluminium. 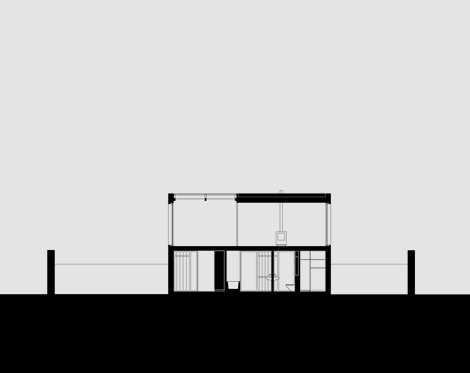 The position and size of each window determined by function, light and view. 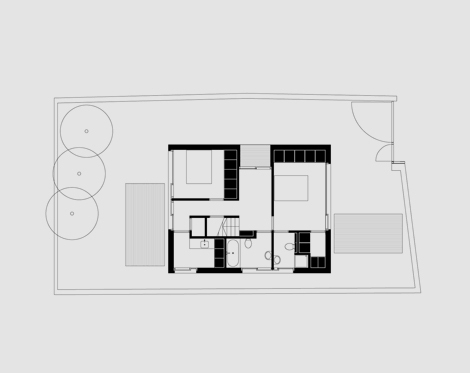 The house is entered through the deepest of the aluminium recesses where a generous hall serves two bedrooms and ancillary rooms at ground floor level and accommodates a stairs that leads to the main living level. 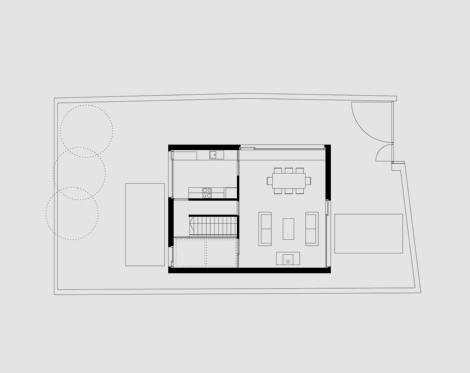 On the first floor the rooms open out to each other and one can circumnavigate the plan. 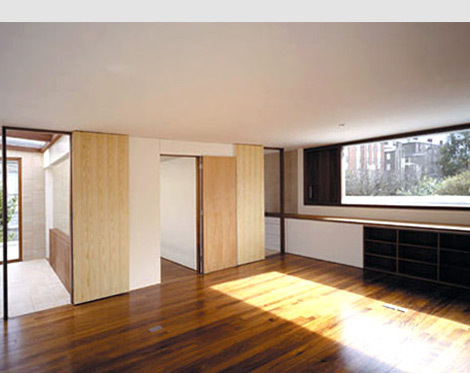 Internally the iroko joinery of the windows and doors is expressed. 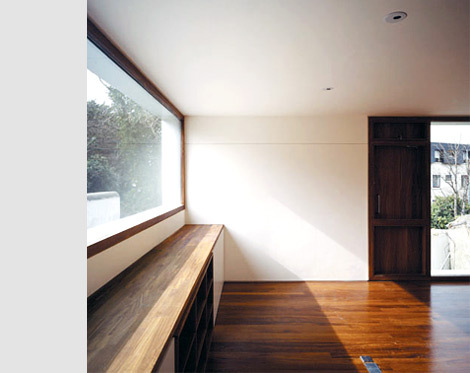 Iroko covers the floors and painted plastered walls provide a neutral lining to the box. 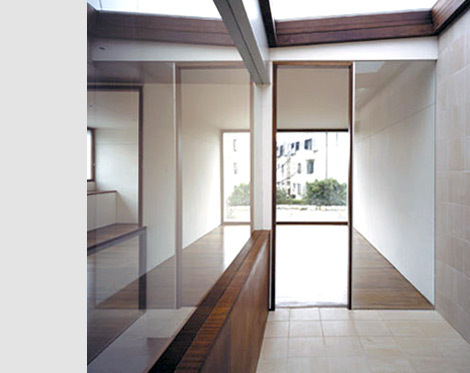 A tiled indoor garden-room, is placed behind internal glass screens and beneath a sliding glass roof.